The craggy peaks of the Cascade Mountains that divide lush, western Washington from the dry, high plains of the east, inspired this unique green. 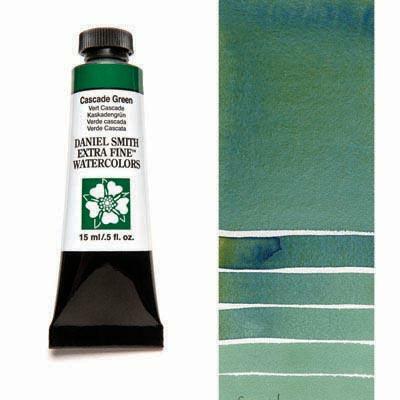 From damp evergreen forests, and alpine meadows to the drier, sunnier open forests, our Cascade Green showcases a million shades of green found in those environments becoming a versatile addition to our artist-preferred greens. As you brush it on, subtle variation from dark to light adds the illusion of depth. Straight from the tube, this rich, mid-range green is cool, dark and mossy. In washes, it has a stunning clarity. In any application, it has excellent lightfastness.